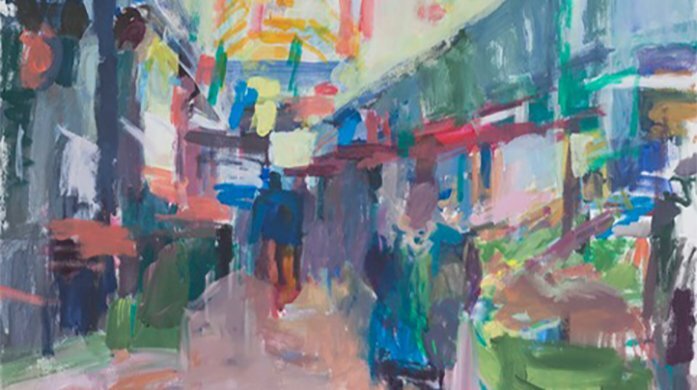 I have focused on making images of urban life in the most recent past, mainly drawings and paintings of Brixton Market, some of which are more abstracted than others. I try to pin down the atmosphere, colour, light and space, and the effect it has on me. The title of this painting is Brixton Village – winter. High quality giclee prints are available too. More can be seen on my website.